24 Sep 2015 --- 2 Sisters Food Group (‘2 Sisters’), one of the UK’s largest food producers, has announced that it is investing £55 million (US$84 million) in its Meal Solutions Division to support further growth, create state of the art manufacturing facilities and secure jobs. 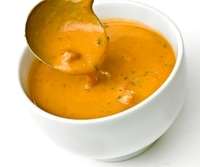 2 Sisters’ Meal Solutions produces a range of products including ready meals, soups and sauces. The division is wholly focused on own-label products, and predominantly produces ready meals and soups & sauces for Marks & Spencer out of four factories: Pennine Foods in Sheffield, Rogerstone in South Wales, Carlisle and Grimsby. The majority of the investment will be used to completely rebuild Pennine Foods, with the remainder being allocated to refurbish and expand capacity at both Rogerstone and Carlisle. Pennine is a purpose-built site, originally established in 1986, which has now reached full capacity. A £38 million rebuild will develop best in class commercial and operational processes to support continued innovation, expand capacity and drive further profitability. The strengthened operational platform will enable 2 Sisters to continue to grow its position as the market leader in ready meals production in the UK. To avoid disruption for customers, work at Pennine will be phased with some capacity transferring to both Rogerstone and Carlisle from April 2016. The transferred capacity will remain at those sites creating the opportunity for new ranges to be produced at Pennine once work is completed at the end of 2017. The refurbishment programme will help safeguard up to over 800 jobs at Pennine.